Our advisory board provides high-level intellectual and strategic guidance to the team. It is designed to assist in driving unbiased yet knowledgeable dialogue on the constantly evolving artificial intelligence landscape. The board members provide insight into the latest trends, breaking news, topical and relevant topics, as well as who the experts are both locally and internationally, on behalf of the summit, and offer guidance into the overall structure, layout and programme development. We are enormously grateful for their ongoing guidance and support. 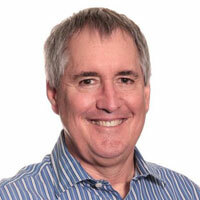 Simon Carpenter has 35 years of wide-ranging experience in the IT sector. The last 24 years have been with market-leader SAP's African business, where he has held several leadership positions. In the course of his career with SAP, Carpenter is proud to have worked with many of Africa's best organisations, helping them to understand how SAP solutions can contribute to their growth and ongoing success. He is a passionate advocate for leveraging information to create a better Africa for all and conscious of the fact that Africa poses some unique challenges that require a nuanced approach to technology adoption. 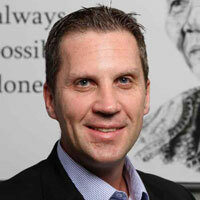 Carpenter is currently chief technology advisor at SAP Africa. Prior to SAP, Carpenter worked predominantly in the area of operations and logistics solutions, ranging from on-board computing in transport to large-scale enterprise systems. He has broad experience having worked in sales, marketing, support management, project management, and consulting and systems development. He thus has good insight into the soft issues (such as change management) that must be addressed for any technological initiative to be successful. Carpenter speaks at a numerous local and international conferences and universities/business schools on a wide range of topics. He is a previous award winner at the SAPICS conference. 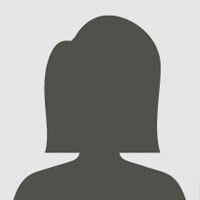 Jean is the Data Solutions Manager at Old Mutual Finance. Her portfolio includes optimisation of data to support analytics and reporting, and operational process efficiencies; management of the BI technology estate; data governance; and information security. Jean’s current focus is the re-architecture of the data landscape to enable advanced analytics, deep learning, core operational competencies and drive transformation to a data driven culture. 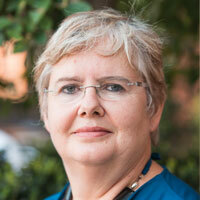 Jean managed the Business Intelligence team prior to transitioning to the data centric role. She previously lived and worked in the UK for ten years, gaining a wealth of financial management experience, implementing procurement and financial reporting processes and efficiencies within leading global insurance and consultancy organisations. 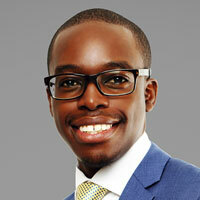 Nzwisisa Chidembo is the technical product manager at Ocular Technologies. He specialises in leveraging artificial intelligence solutions to transform organisations to heroes in the eyes of their customers. With more than 12 years of international experience, Chidembo has worked in various industries, such as telecommunications, e-commerce, biotechnology and retail. He has led various skilled teams in optimising business processes, applying effective solutions, while liaising with various stakeholders and overseeing system integration projects. Chidembo is an internationally published author and was nominated as a Global Young ICT Leader in 2017 by the International Telecommunications Union. Holding a master's degree in IT and more than a dozen certifications, Chidembo is always seeking new ways to exploit technology for tangible returns. Ryan started his career in IT in 2002, with over 14 years of experience in IT security and risk management, spanning various industries for organisations of all sizes. Ryan holds various IT qualifications including a BSc Computer Science degree, National Diploma in Computer System Engineering, PMP, CISA and CISM examination. 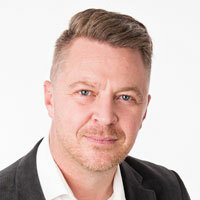 Having worked as Development Manager at Information Security Architects, in Risk Advisory at Deloitte, on the development of the CyGeist cyber insurance offering and subsequently launching the Hollard cyber insurance offering, Ryan has an in depth knowledge of IT risk management and cyber insurance. His diverse skill set and varied experience enable him to identify and provide solutions on data related risks from both internal and external perspectives. 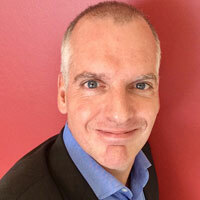 Karl Fischer is the MD of DVT East Coast (www.dvt.co.za) and the executive responsible for establishing and developing the national DVT Data and Analytics business inclusive of AI. Previously, Fischer was the BCX application services executive (KZN), responsible for BI and application solutions consulting in KZN. He joined BCX from Accenture and prior to that spent a period of five years living in the USA, working on global systems solutions, delivery and programme management. Fischer is a highly experienced IT management and consulting professional able to leverage his diverse technology exposure, international corporate and entrepreneurial business experience to assist strategic decision-makers in the use of technology. 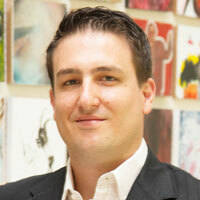 Gavin Holme is responsible for leading the strategy and growth agenda for the African market. Holme comes with an in-depth understanding of customers, buying trends and behaviours across markets in Africa. As a business leader, Holme prides himself in ensuring exceptional standards of delivery and service in business. Prior to joining Wipro, Holme served as the head of Services Sales for Africa at SAP, where he focused on providing unique customer experiences. He has an MBA degree from Wits Business School, SA, and a BSc engineering degree from the University of the Witwatersrand, SA. Aalia Manie is a senior associate in the Technology, Media, Telecommunications & Intellectual Property Practice at Webber Wentzel. She specialises in all aspects of intellectual property (IP), including trademarks (brands), patents (inventions), designs, software, biotechnology, fintech, and mobile and digital technologies. A large component of Manie's practice involves monetising and extracting value from IP assets through licensing and other commercial deals. She advises clients on the protection, enforcement, and structuring of IP and technology, as well as the South African exchanged control regulations as they apply to IP. Her experience also extends to M&A and corporation transactions, as well as due diligence investigations relating to the acquisition and disposal of IP assets. Prior to specialising in this field, Manie practised in Webber Wentzel's Banking & Finance practice group. Manie has a BBusSci with first-class honour's degree, an LLB degree from the University of Cape Town, and a certificate in Copyright from Harvard University and the University of Cape Town. 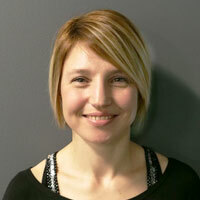 She has also written about artificial intelligence, software and exchange control in the media. 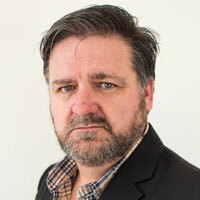 Willie has been an information security professional since 1998, and has an uncanny ability to break complex concepts and ideas into bite-size chunks that anyone can understand. He has a no-nonsense approach to explaining ideas, making sure everyone is on the same page by drawing on real life situations and comparisons. In the last 18 years, Strydom has had roles such as Webmaster, network engineer, firewall administrator, system engineer, security analyst, risk manager, lead architect and information security officer. 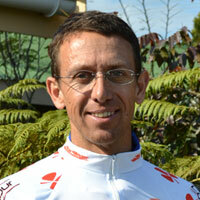 He is married with two kids, and lives in Randburg. With more than 15 years’ experience in BI, data warehousing and architecture, spanning a wide range of industries and companies, among those government organisations, Barlows Equipment, Pfizer Pharmaceutical, Anglo American and, currently, Stanlib, De Swardt has strong analytical capabilities and is a great believer of constant innovation and improvement, continuously analysing data and data patterns. Karthik Venkataraman works closely with IBM financial services clients, helping them shape and implement strategies for intelligent automation, cognitive AI and counter-fraud across their different lines of business. His 20-year career in the technology industry spans services, products and solutions, where he has performed multiple roles in consulting, application design and development using distributed architectures, systems integration, program delivery and business development. During his previous career with Infosys, he has lived and worked in four continents, delivering technology-led transformation programmes for global clients, notably Goldman Sachs, Boeing, Toyota Peugeot and the Standard Bank Group. At IBM, Venkataraman is responsible for identifying, shaping, providing solutions and delivering IBM's industry-led platforms and solutions in the MEA region. 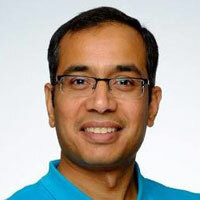 Venkataraman graduated with BTech (honour's degree) in computer science from the National Institute of Technology, and an MBA from the Indian Institute of Management, specialising in software enterprise management. He is currently midway through his MSc in computer science, specialising in machine learning and artificial intelligence, from the University of the Witwatersrand. He is a certified project management professional, design thinking practitioner, blockchain and automation developer and level II expert IBM seller.